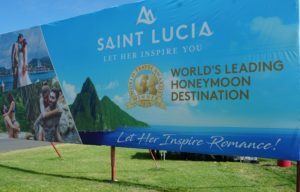 Saint Lucia has been named the 2018 World’s Leading Honeymoon Destination, the Saint Lucia Tourism Authority (SLTA) has announced. 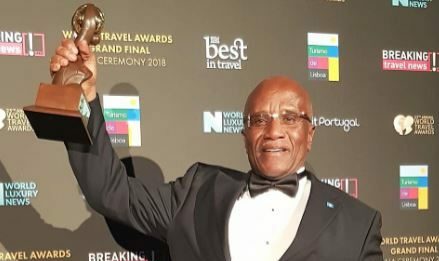 The SLTA said that this country was bestowed the honour at the World Travel Awards (WTA) Grand Final 2018 programme in Lisbon, Portugal on Saturday. Chairman of the Saint Lucia Tourism Authority, Nicholas John, received the award on Saint Lucia’s behalf, according to an SLTA release. Saint Lucia was nominated among honeymoon destinations like Colombia; Jamaica; Paris, France; Maui; Miami Beach, Florida, USA and Hawaii. “This is the island’s tenth World’s Leading Honeymoon Destination Award, but only its first title since 2010.No other destination has won the coveted title as many times – Saint Lucia’s closest rival is Mauritius, which has won four times,” the SLTA noted. Acting CEO of the SLTA, Tiffany Howard, was quoted as saying that the award puts Saint Lucia in a class of its own in the area of Honeymoons and Romance. “To be named amongst the most amazing destinations in the world is a huge honour, but topping them all to win this title is a very gratifying achievement,” she declared. To commemorate the award, the SLTA unveiled a massive billboard outside the Hewanorra International Airport on Sunday, announcing its most recent title and highlighting some aspects of the island that won its acclaim as the Leading Honeymoon Destination. Sandals, St Lucia- the best of the islands resorts. BUt so are all of The Sandals. This is about St. Lucia the island and there is no other country in the world who compares! CONGRATULATIONS ST. LUCIANS. This is an award for all of us. We should appreciate it, appreciate ourselves, and not take our island and our personality for granted. To God be All the Glory!! Sitting here in the Grenadines reading this article. I am so proud to be called St.Lucian right now. This truly is a victory for all of us. I just pray we keep up the good work and not allow the crime to give us a bad rep. Stay Blessed St.Lucians! Wow!!! I am so honored to be a St Lucian,with pride and dignity. On the outside ,we are a small island and just a dot on the map;but on the inside we are that great.Sweet St Lucia,sweet Helen of the West. Wow!!!!!!!! I am so honored to be a St Lucian with pride and dignity.On the outside,we are a small island and just a dot on the map;but on the inside we are that great.Sweet St Lucia, sweet Helen of the West.St Lucia we love. Wow!!!!!!! I am so honored to be a St Lucian with pride and dignity.On the outside,we are a small island and a dot on the map;but on the inside we are that great.Sweet St Lucia, sweet Helen of the West.St Lucia we love.Well deserved. Wow!!!!!!!! I am so honored to be a St Lucian with pride and dignity.On the outside,we are a small island and just a dot on the map;but on the inside we are that great.Sweet St Lucia, sweet Helen of the West.St Lucia we love.Well deserved.